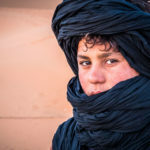 Morocco is a favorite destination for lot of tourists; you can see the cultural heritage of old cities rich in historical exploits, traditional industries and folk culture. 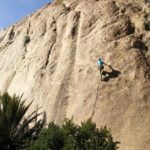 You can also practice mountain tourism. 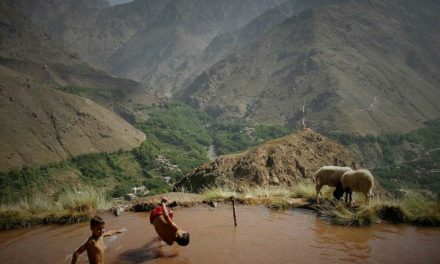 Morocco has 3,500 kilometers of beaches, one third of them on the Mediterranean and the rest on the Atlantic. 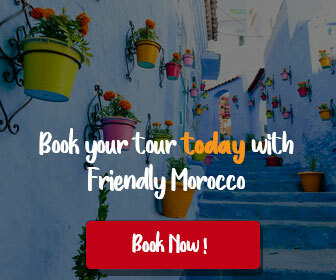 To enjoy the time in Morocco, you have to choose the place that suits you for the duration of your stay, we can help you choose the right type of accommodation to suit your own personal requirements. 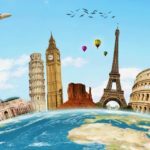 We will provide you with a variety of good Options, from the traditional residence that makes you live the Moroccan heritage, to the high-class hotels, and the prices vary according to the ability of the tourist, between cheap and other high prices to some extent, we will try in this article to talk about all these types. 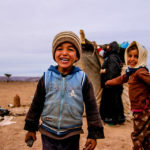 The simple rural hotels, you can enjoy the beauty of nature and the sense of comfort and tranquility, you will stay in desert camp within the dunes of Merzouga is comfy and even has flushing toilets! 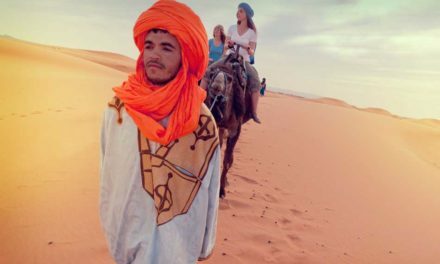 You may drive twenty minutes to the dunes to fulfill your guide and artiodactyls before setting off into the sunset on a camel trek of approx. 1.5 hrs. The standard tents have snug beds with correct mattresses; pillows, sheets and blankets, and therefore the loveliest dinner are served to you round the fire. Breakfast is served at the camp before setting off back for the edifice the subsequent morning. From £45.00 per night based on two people sharing the most standard room during low season with half board. 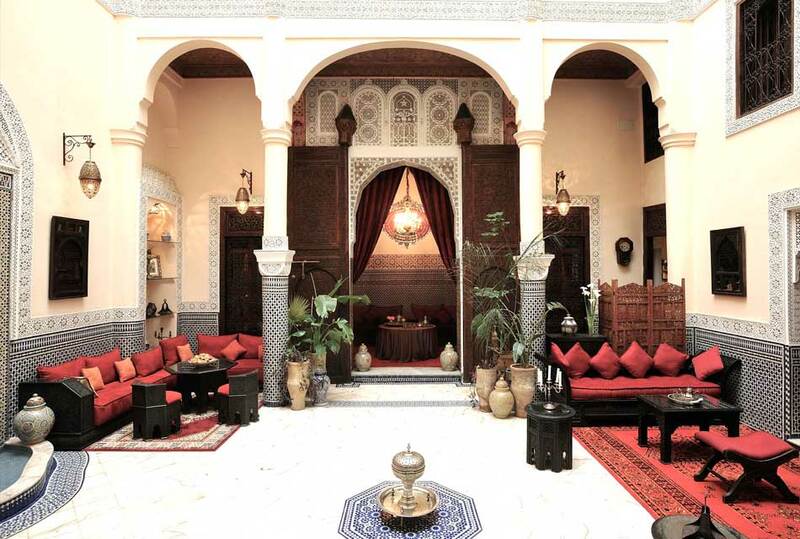 Hotels have traditional Moroccan architecture Style and materials (Tadelakt, mosaic, fountains), and are often conversions of old houses. 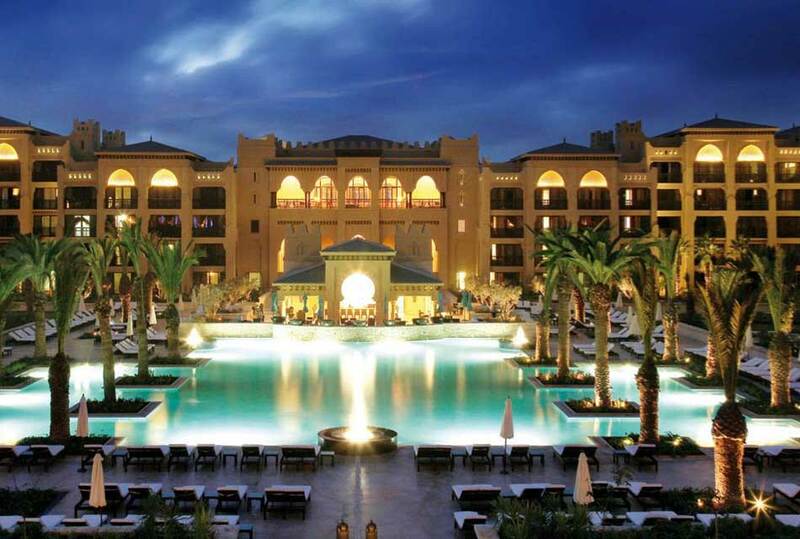 They cannot be labeled as riads, the hotels are out of the city and have a less formal layout. Still smaller and more personable than the large hotels, perhaps without such a wide range of facilities. 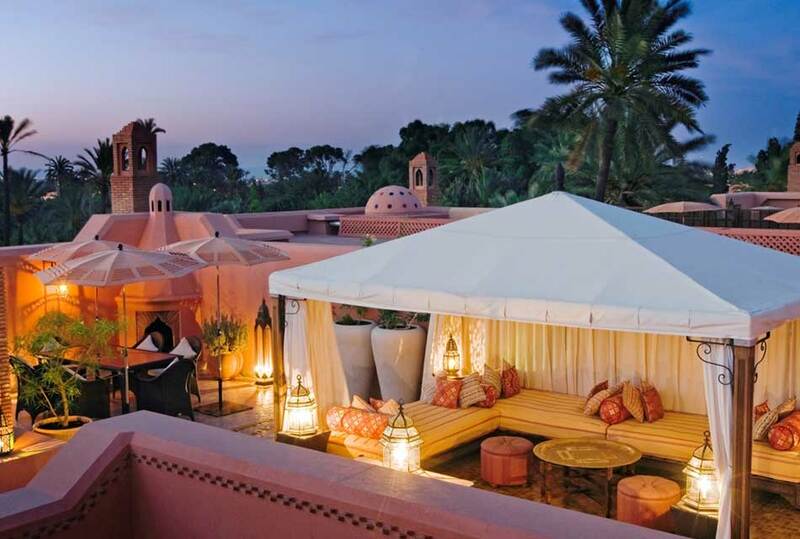 The Accommodation is in bungalow style buildings scattered throughout the gardens, that are softly lit with lanterns to show you the way at night. 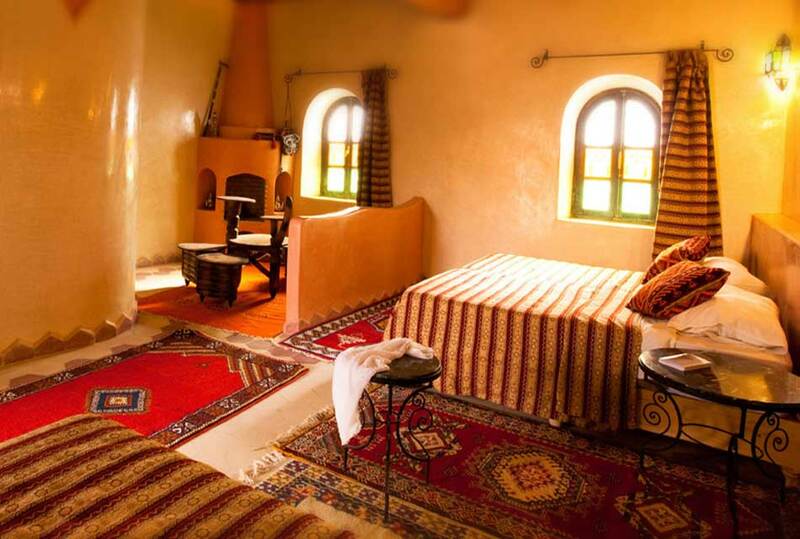 All of the rooms and suites have a traditional style, Tadelakt walls (polished plaster), wooden ceilings, colorful rugs, cushions and fabrics, and wooden or iron furniture and features. From £85.00 per night based on two people sharing the most standard room during low season with half board. Built by sustainable materials, minimizing its effect on the environment. 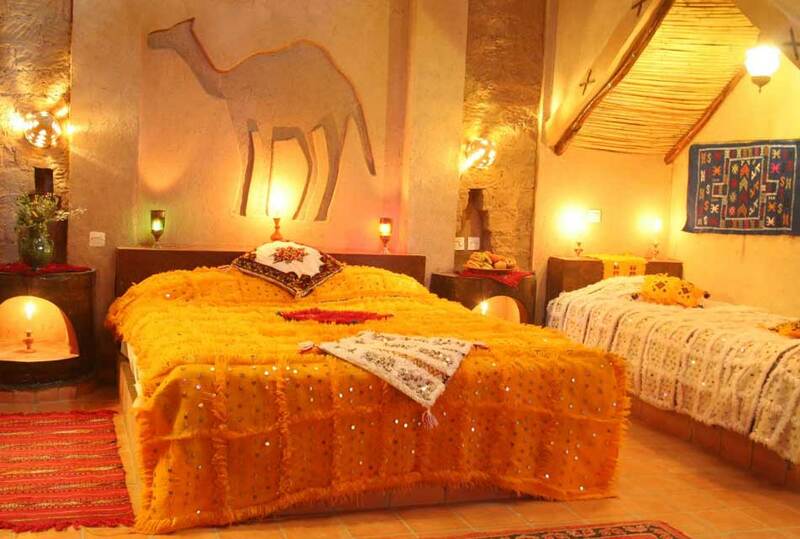 The Accommodation in decorated bedrooms in the traditional method and with great care. Doubles, singles or family suites. From £50.00 per night based on two people sharing the most standard room during low season with half board. 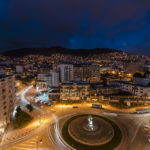 The Accommodation in air-conditioned rooms and suites, all recently renovated and equipped with heating, a mini-bar, safety deposit box, telephone and satellite TV. 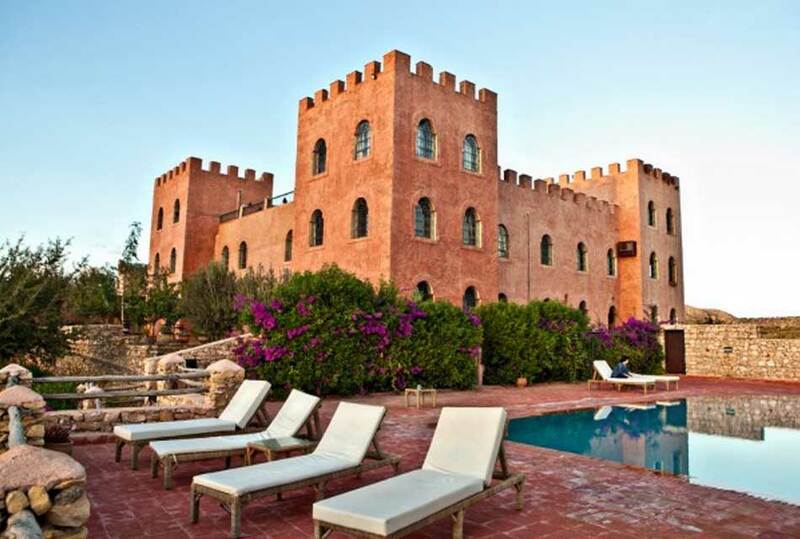 All are beautifully decorated, have en-suite bathrooms, and most have a balcony over-looking the pool and gardens. A pool view room with balcony for most clients, although this cannot be guaranteed. 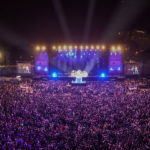 Many of the rooms interconnect, and with low room rates and single supplements, we feel it is both beneficial and cost effective to book single occupancy or interconnecting rooms when traveling with friends or a larger family. From £60.00 per night based on two people sharing the most standard room during low season with half board. 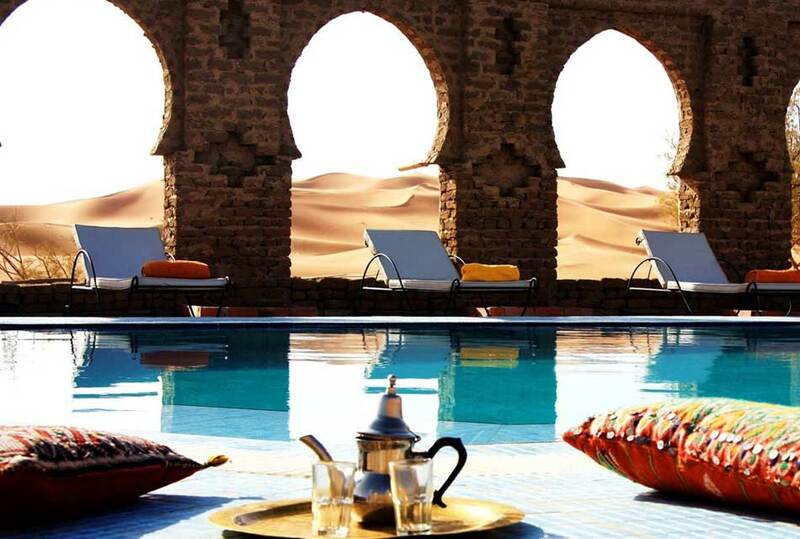 Larger than the Boutique Hotels, a selection of 4 and 5 star deluxe hotels combine beautiful authenticity with the luxurious indulgence of modern facilities and superb service. 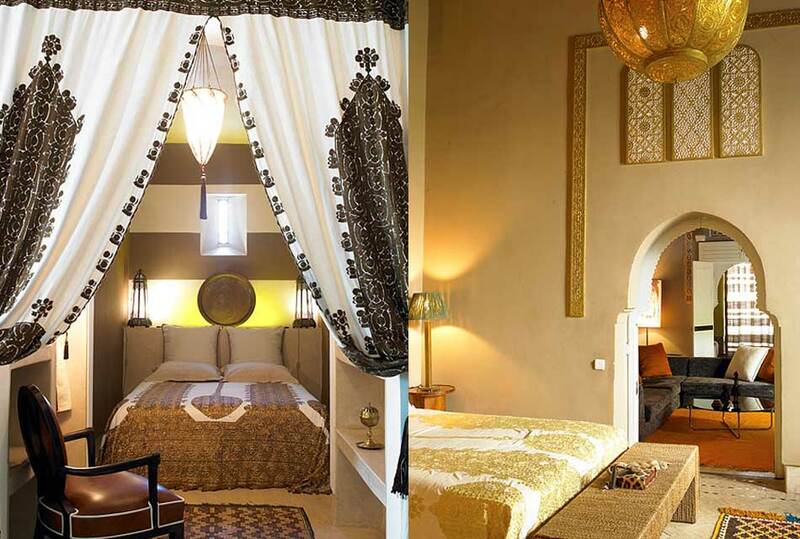 The Accommodation in rooms and suites have been carefully and individually decorated, and filled with delicately painted furniture, objects d’art, beautiful fabrics. The en-suite marble bathrooms are magnificent, and the private terrace with seawater Jacuzzi and view of the lagoon inspired. From £120.00 per night based on two people sharing the most standard room during low season with board. 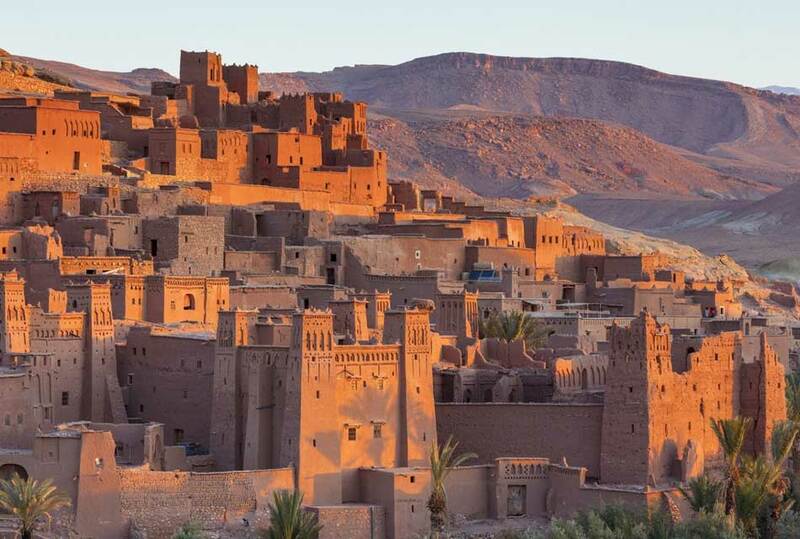 A Kasbah is a defense or medina that was used as a secure location to withdraw to once the most city was underneath beleaguering. 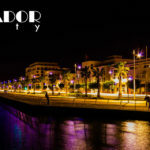 They might usually be set on position for higher defense, look at this after all makes them spectacular locations for hotels. 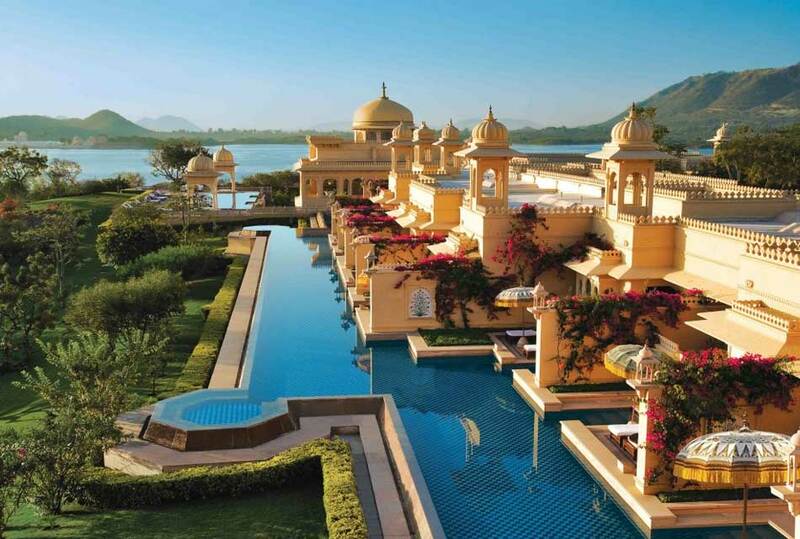 The Accommodation in rooms and suites are singly embellished, and most have their own non-public terrace or balcony. 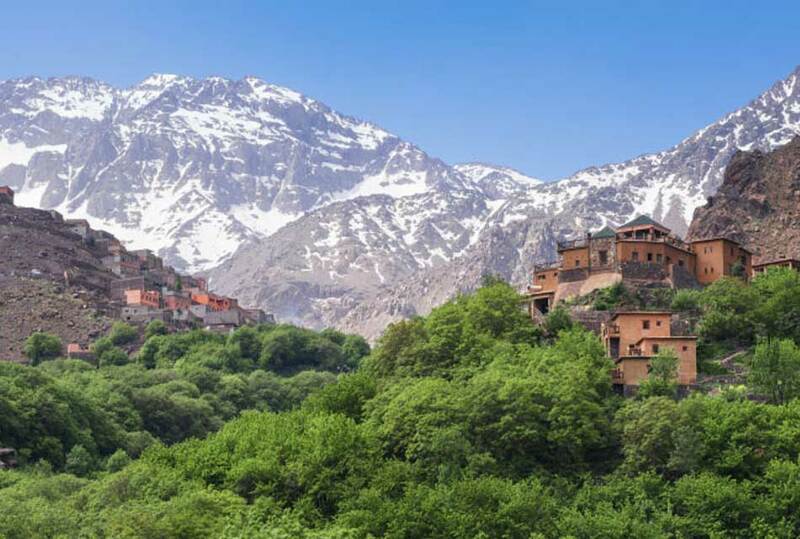 All have spectacular views over the vale and on to the mountain peaks. Superior rooms, en-suite rest room with shower, safe and terrace outside. Deluxe rooms; larger than the superior rooms. With en-suite rest room with bathtub and shower, Safe, hearth. Terrace Suites; massive still with large en-suite rest room with bathtub and shower, Safe, hearth. Terrace deluxe suites; terribly massive, and sometimes used for families with two further beds. 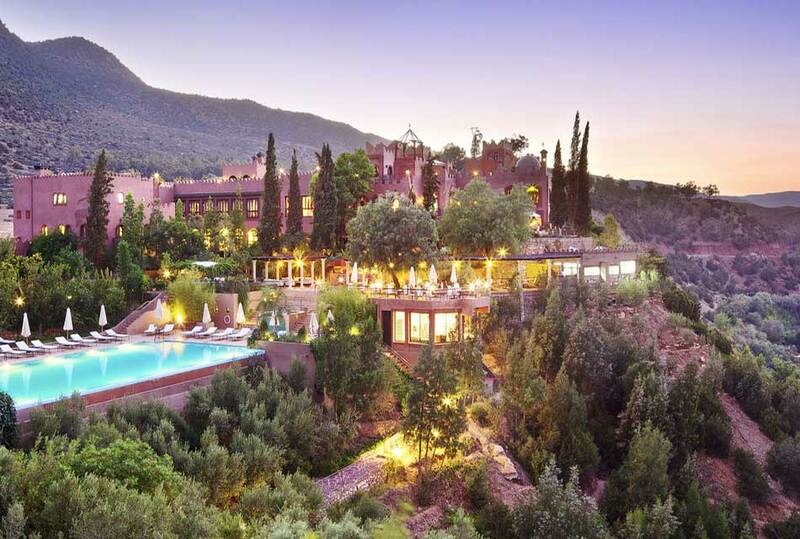 Massive en-suite rest room with bathtub and shower, safe, fireplace, and personal terrace. From £110.00 per night based on two people sharing the most standard room during low season with board. 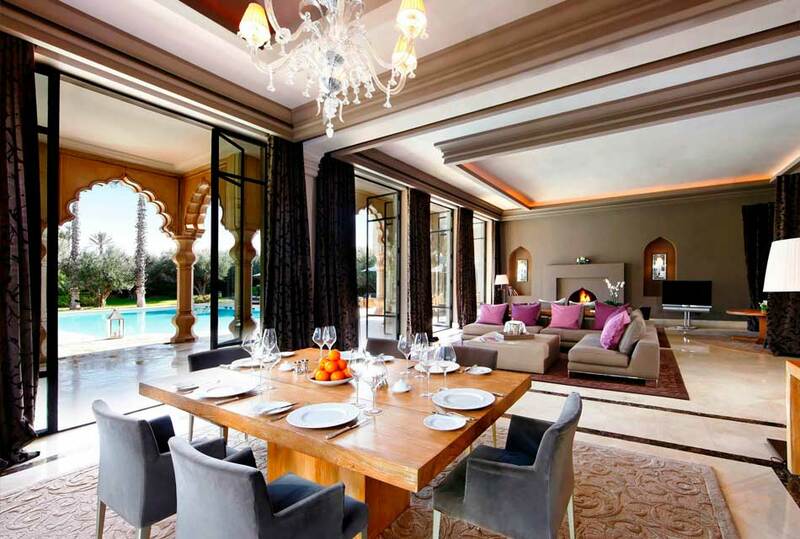 Luxurious detached country houses complete with large gardens and a good-sized pool, excellent facilities and services. The Accommodation in suites Pavilion with private heated pool and two rooms. 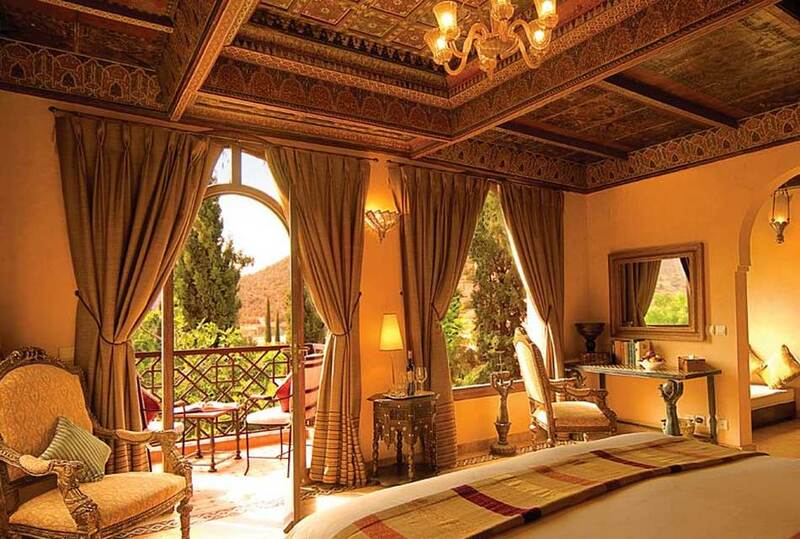 All lavishly decorated in rich colors, fabrics, furnishing and more collectables are sumptuous in both comfort and style. Three of the suites have their own private garden and Jacuzzi, and all have air conditioning, CD players, mini bars, safes, cable TV, and DVDS. Free DVD library in the house. 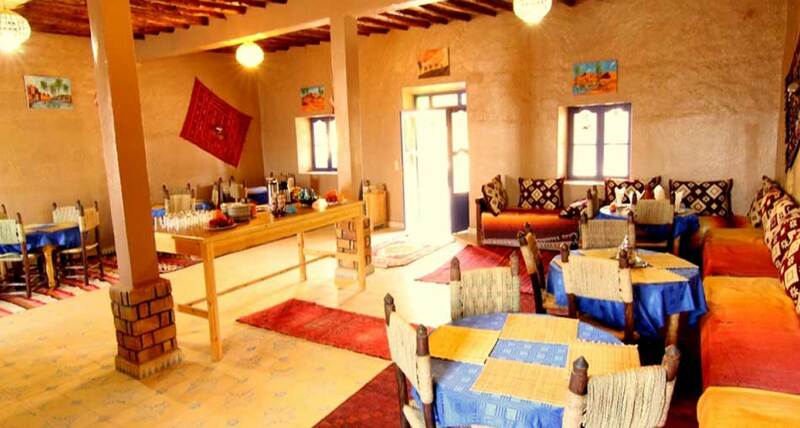 Full time house chef, who uses seasonal fruit and vegetables to cook a wide range of Moroccan and European dishes. 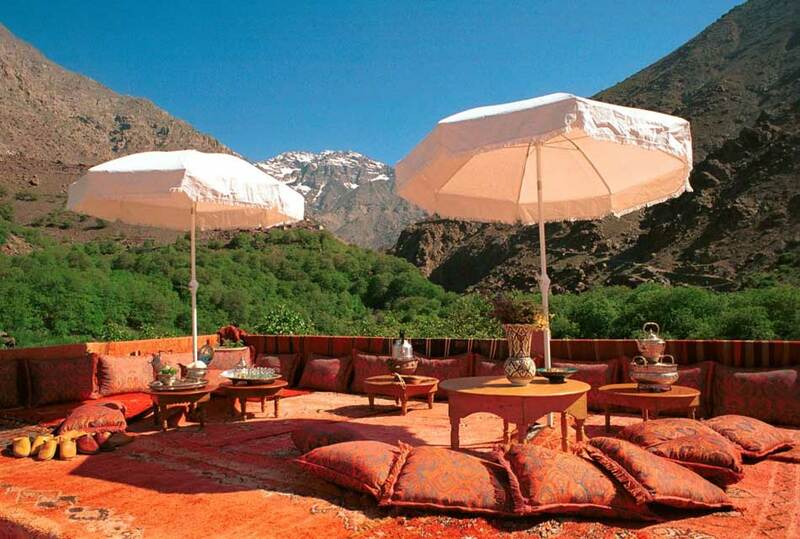 All meals, non-alcoholic drinks and massage treatments are included in the price. From £125.00 per night based on two people sharing the most standard room during low season with B&B . En-suite suites and en-suite rooms with air-conditioning and central heating, cable TV, free DVD, CD, mini-bar and safe. Heated Pool (unless heavy cloud or rain) Gardens Two dining rooms Hammam (free of charge) Sauna (free of charge) Beautician available Cookery course available free of charge for all residents. Quite merely, this implies a guesthouse. 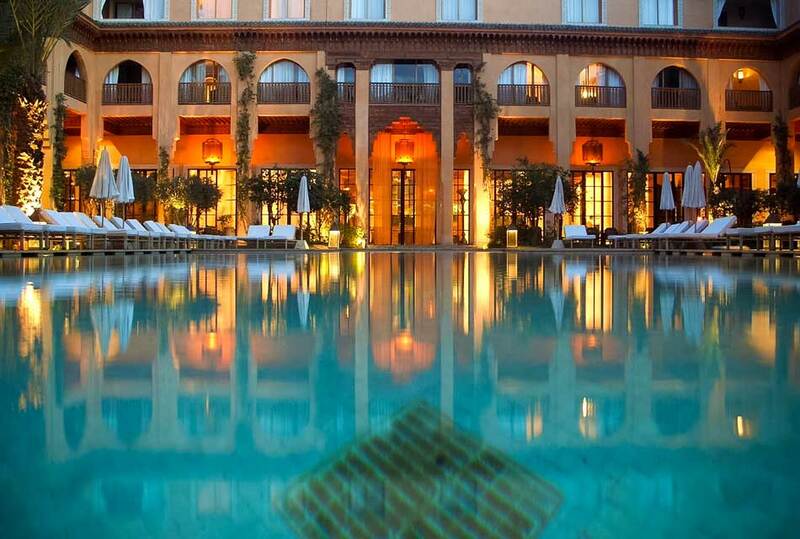 Sometimes these edifices were non-public homes reborn into little then charming hotels. 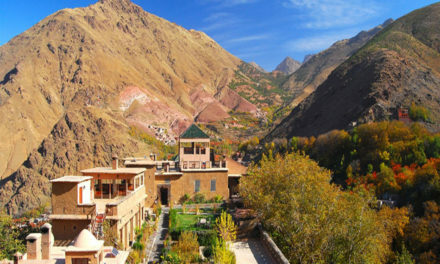 As you will see, they vary from riad-style to reborn villas, and last Tigmi, that is formed up from restored, contiguous ancient rural village homes fabricated from bolstered mud. The bulk of ‘Maison d’hôtes’ rent individual rooms except for larger parties or families WHO could wish to celebrate a special day. 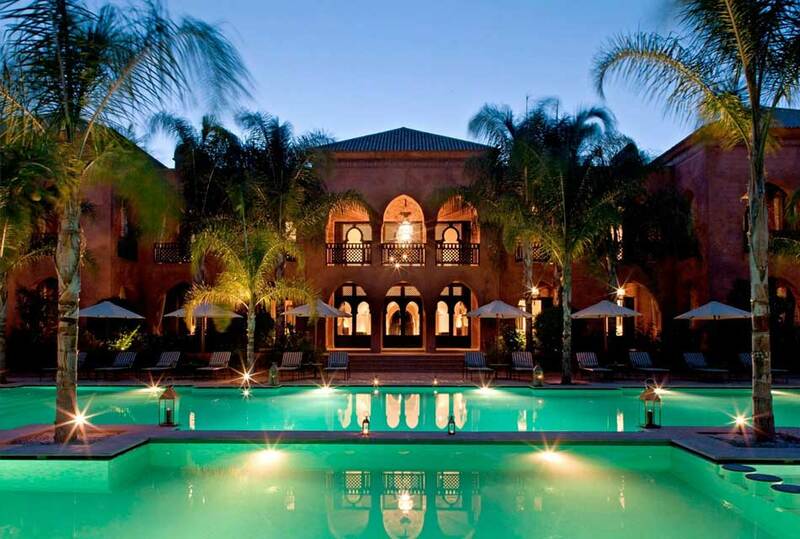 You will take over a complete property for your metropolis vacation. 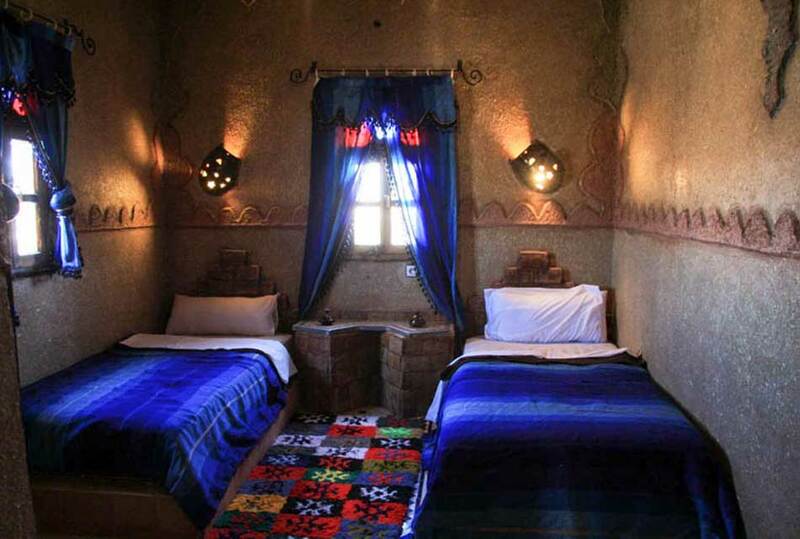 The Accommodation in beautiful rooms and suites, each decorated in rustic Berber styles, minimalist but welcoming. 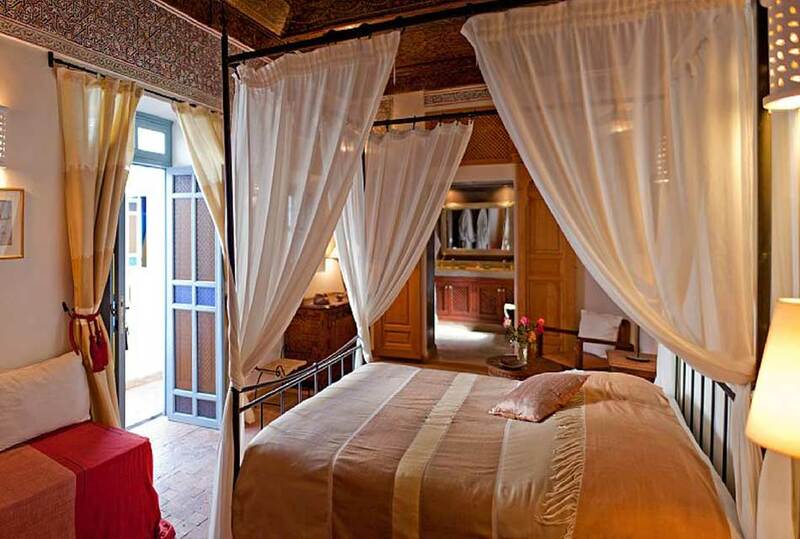 All have the most comfortable beds and luxuriant sheets and duvets for miles around! 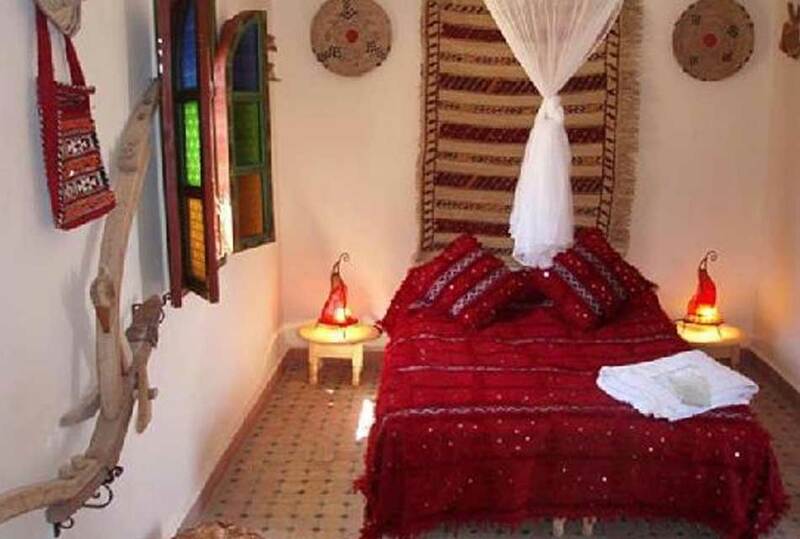 The white washed walls and rich colored rugs, hand crafted furnishings and locally woven wall hangings, bed covers and cushions invite you to spend time relaxing in your own private space. 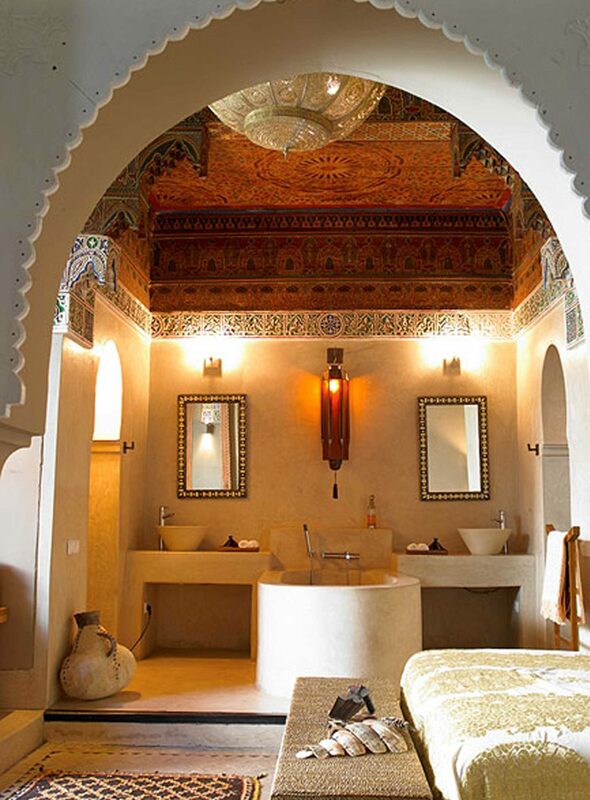 Each en-suite bathroom is well stocked with specially made shampoo and body products to help you rejuvenate after a hard day spent ‘Souking’ – shopping- in Marrakech or lying by pool… Individually controlled air-conditioning to help keep you cool during the heat of the summer, and heating to keep away the chills of winter evenings. 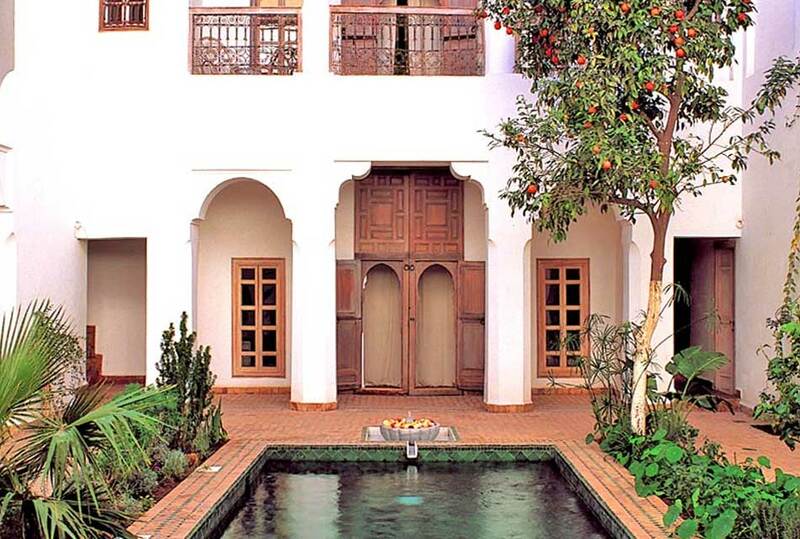 The suites contains to a private terrace or courtyard, separate sitting room and open fireplace. From £95.00 per night based on two people sharing the most standard room during low season with B&B . Reads is a cultured house, always situated in old cities. 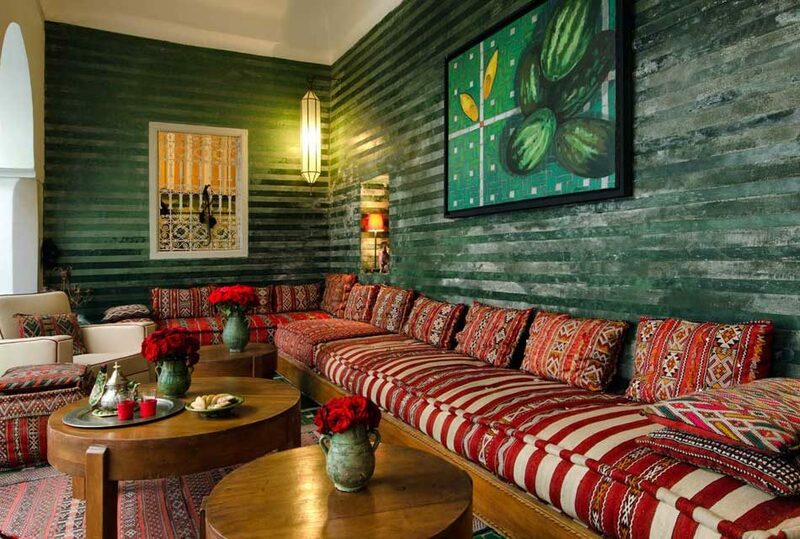 Have a Moroccan design, trying to give isolation and intimacy instead of showing off. It is, above all, Associate in Nursing enclosure, an area of contemplation and escape for its cloistered inhabitants, an enticing interior far from the skin world. 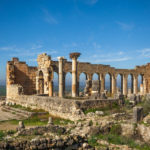 The best house is unionised around a central yard, typically embellished with zelige (mosaic tiles), painted wood (Zouak), sculptured plaster or marble and usually with a fountain and orange or lemon trees giving a teemingness of scents, and the wavelet of running water. The central yard is sometimes encircled by Associate in colonnade arched colonnade giving access to the living rooms and room. The sleeping arras are usually made on the higher floors, so making a coated arcade round the terrace with balustrades running around every floor. The roof high terrace could have Associate in Nursing canopy or bower to shield against the sun wherever guests can have breakfast or dinner. 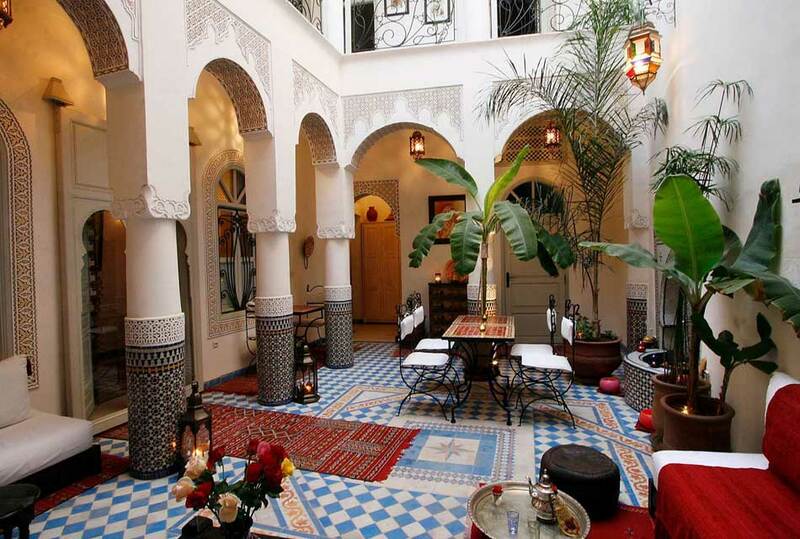 Riads have thick walls, to protect the inhabitants from the sun or the cold and most of the skin noise. Being urban dwellings, they are typically set on a slender back street (derb), with no access by automobile. 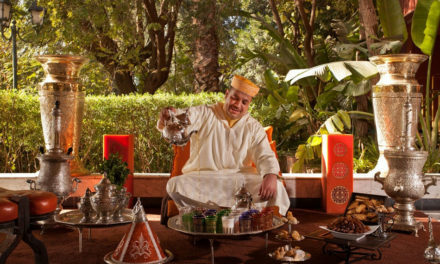 For those seeking Associate in Nursing authentic Moroccan sort of accommodation, the riad offers its guests a haven of tranquility, Associate in Nursing study treasure, Associate in Nursing insight into tradition, culture Associate in Nursing attainment and a chance to soften into an anonymous location. 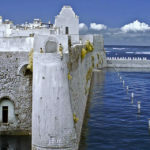 From £70.00 per night based on two people sharing the most standard room during low season with B&B. 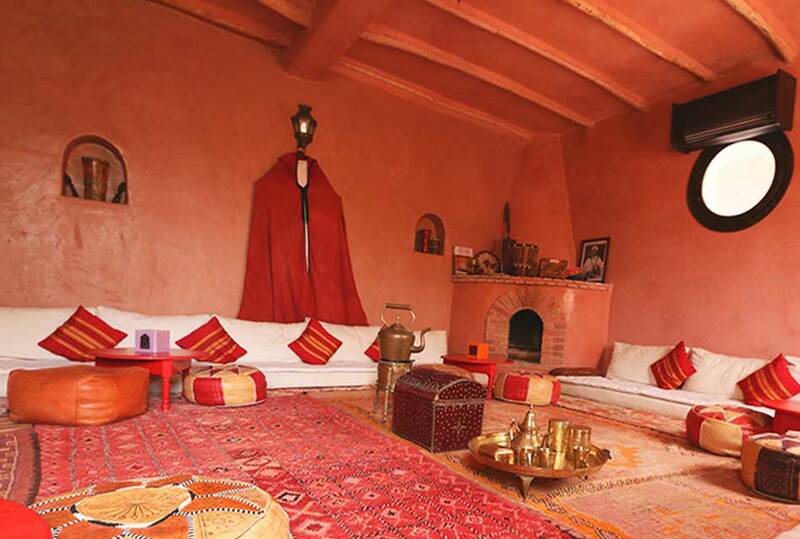 How do you find the diversity of the Moroccan accommodation ways? Which one suit you more? 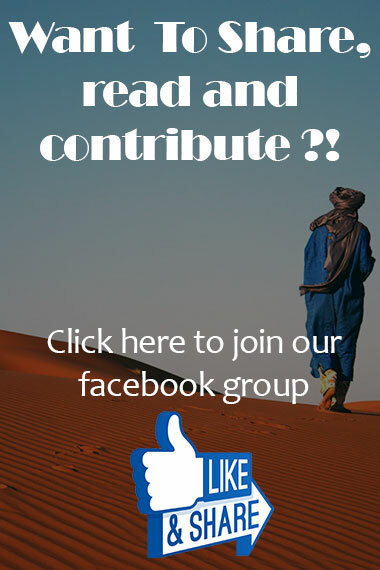 Share your opinion with us, and share the post with your friends.